Last Saturday, the United States Senate passed the Tax Cut (TCJA) and Jobs Act, a sweeping tax reform that leaves little in the current code untouched. The $1.5 trillion bill was passed in a 51-49 vote, with sole support coming from the senate’s Republican majority. The only Republican who voted against the reform, Tennessee senator Bob Corker, was concerned that the bill would increase the federal deficit. TCJA’s partisan reception had Republicans scrambling in the wee hours of December 4th to amend sections of the bill to gain the support of on-the-fence senators–some of these changes were even handwritten and hastily thrown into the document’s margins. Using the budget reconciliation process, Republicans were able to bypass the usual supermajority needed to approve a bill, and the early-hour changes allowed them to tip the majority scale in their favor. In order to become law, congress must reconcile the senate bill with the tax reform passed by the US House in November before it can be sent to President Trump for approval. The bill expands the tax bracket to include 7 income levels. On the surface, the bill offers a mixed bag of cuts to these income levels, while corporations receive a healthy reduction. The hallmark of the bill, the corporate tax cut, would unburden the tax obligation of corporations by 15%, dropping the current 35% rate down to 30%. Republicans anticipate that this substantial cut will stimulate economic growth and create job opportunities. 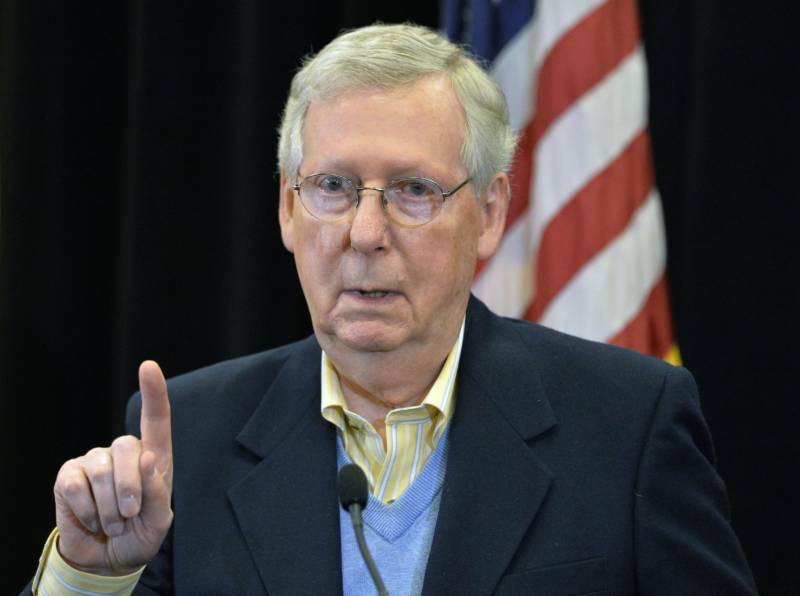 “We’ve got a corporate rate at 20% that we think makes us competitive in the world again,”Senate Majority Leader Mitch McConnell stated in a Friday interview. Meanwhile, tax cuts for the majority of individuals turned out to be less substantial than lawmakers originally promised. According to the Washington Post, the Joint Committee on Taxation revealed that only 44% of Americans would experience tax cuts of more than $500 in 2019. Some of the largest cuts come to the highest earners. 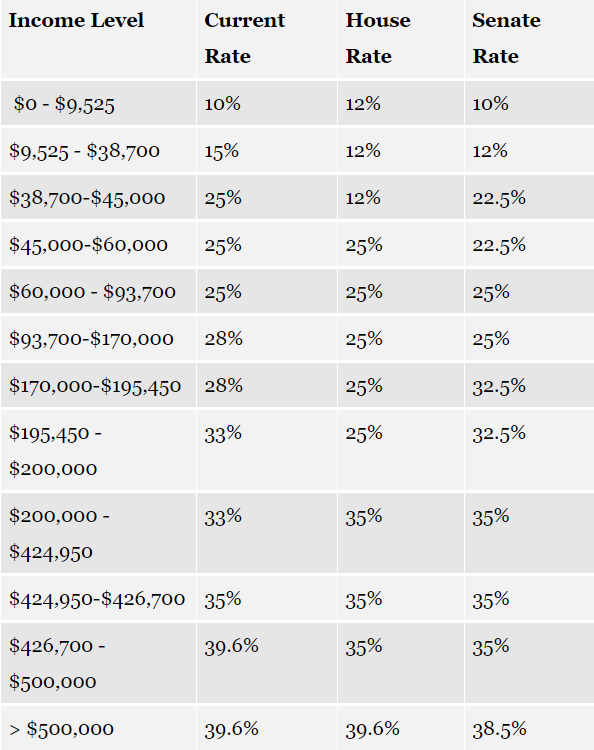 Individuals making $426,700-$500,000, for example, will pay 35% as opposed to the previous 39.5%. TCJA also heightens the ceiling for the federal inheritance tax. Currently, an estate with a net worth of at least $5.6 million ($11.2 million for couples) is subject to a 40% tax. Under the new bill, the threshold is raised to $11.2 million ($20.4 million for couples). Perhaps the most controversial aspect of the Republican tax reform is the heaping corporate tax cut, but the bill’s detractors, mainly democrats, have found other unfavorable amendments to criticize. The repeal of itemized deductions for state and local income taxes, for example, met scrutiny from Democrats and a number of media outlets. Skeptics claim that this measure directly targets majority blue states where state income taxes are substantial. Critics have also called out Republican lawmakers for adding superfluous amendments to TCJA’s final draft. For example, the bill does away the Affordable Care Act’s individual mandate, a provision that requires each American to purchase health insurance or face a penalty. The Congressional Budget Office estimates that this revision may leave 13 million Americans uninsured as a result. Republicans argue that their tax reform will benefit the American economy, but congressional Democrats are not convinced. Estimates by the Tax Policy Center tend to affirm liberal criticisms of the bill’s double standards. According to a TPC report, the bill would do little to stimulate economic growth up to its expiration in 2025, after which point it may contribute even less. By 2025, the proposed legislation is set to expire, and tax rates will revert back to the current tax model.